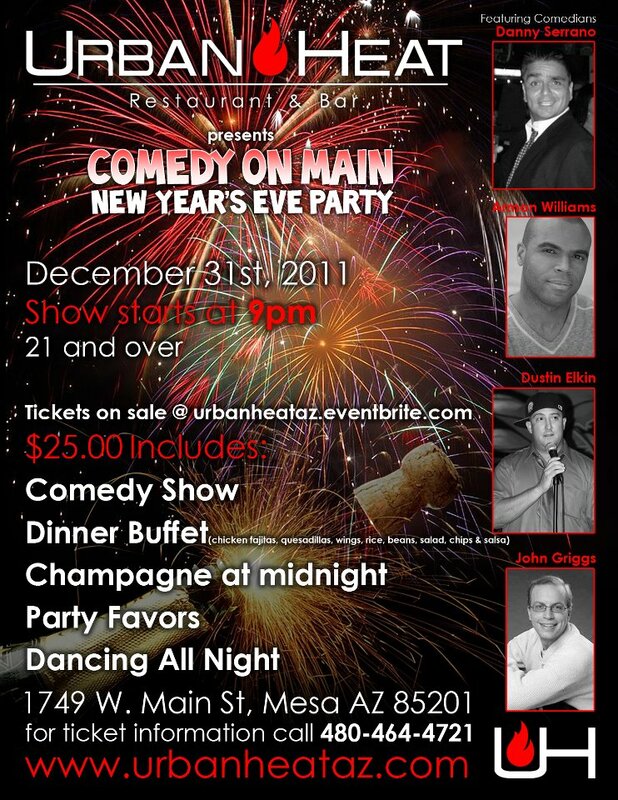 Attention Arizona - New Year's Eve Comedy Show TONIGHT! 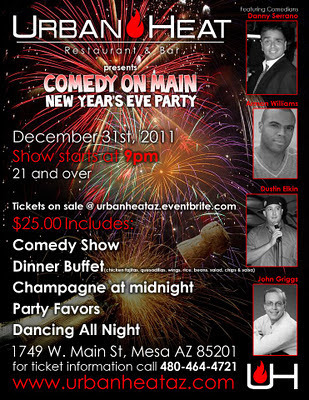 If you're in the Phoenix area for New Year's Eve, I'm performing at an awesome comedy show tonight at 9PM. It's at Urban Heat - 1749 W Main Street in Mesa. Admission at the door is only $20. That includes the comedy show, your first draft beer, dancing at the club, a buffet dinner and more! Comedians performing are myself, Danny Serrano, Dustin Elkin, and Armon Williams. It's a smoking deal... do not miss this show!! !